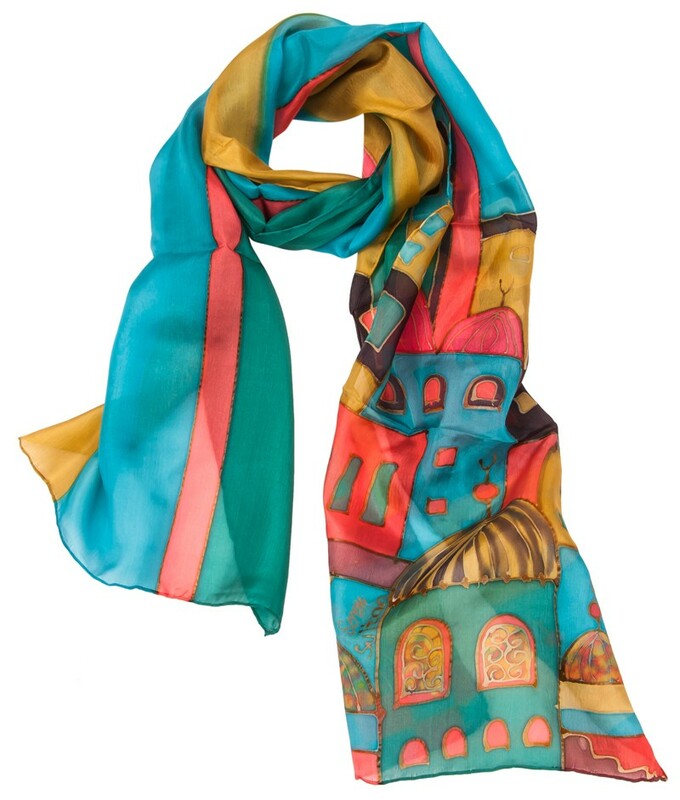 Old İstanbul silk scarf is designed by the artist Şaduman Bodur and is colored to silk with gutto technique. In this technique, silk fabric stretched in embroidery frame is decorated with gutto technique and the inside of figure is painted with silk paint. Hand washed with cold water. Dimensions: Width 31, Length 144 cm. 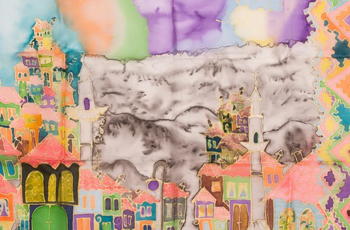 The artist has started silk painting in 1987 and attended to various workshops. In 1990 she opened her own atelier. 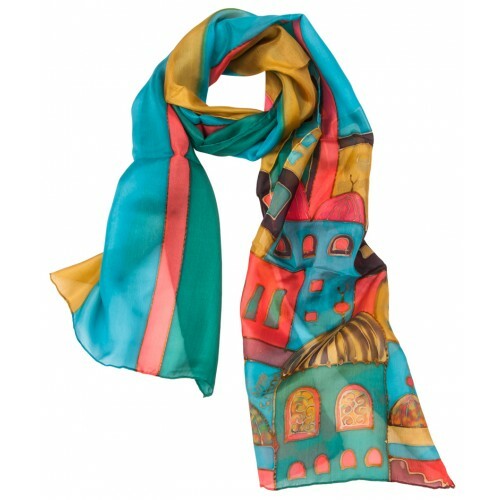 The products of the artist who regularly attends to fairs can be seen in Caferağa Madrasa.